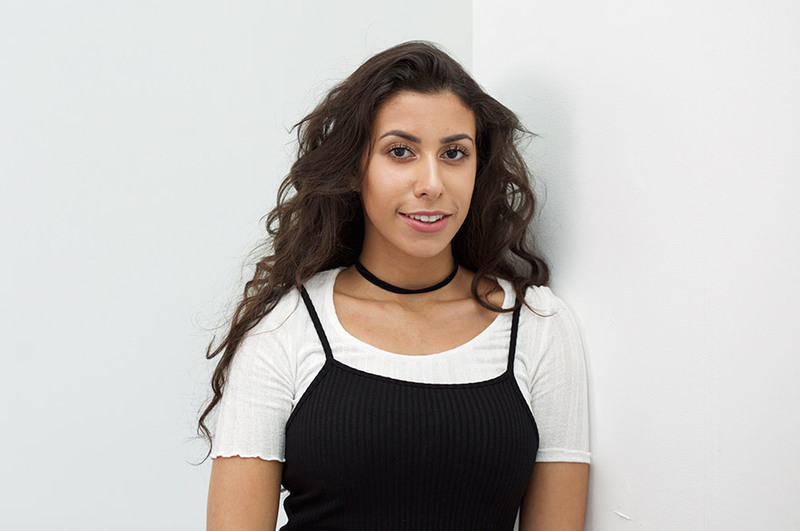 Fashion design student Isabelle Pennington-Edmead has been awarded a three-year scholarship from Sarabande: The Lee Alexander McQueen Foundation. Isabelle, in the first year of her BA (Hons) Fashion Design degree at Nottingham Trent University, was selected after being one of five students from the university to be interviewed by a small panel headed up by esteemed designer Todd Lynn. Sarabande was established after the idea for a charitable foundation was born out of the creativity and experience of Lee Alexander McQueen to ‘ensure that the creative talent of gifted students can flourish regardless of financial status’. Isabelle’s scholarship covers her entire fees for all three years of undergraduate study, as well as access to experts from creative industries and interaction with Sarabande patrons during her studies. After graduation scholars are also offered a studio space at Sarabande HQ to continue their practice and to develop their relationship with Sarabande creatives as they start their careers. “I am really looking forward to having professional support from such a prestigious organisation,” said Isabelle, who’s studying the university's School of Art & Design. Speaking about her practice, Isabelle explained: “I think that fashion is an art form different to any others and it’s the most immediate form of self-expression. “I often like to put meaning in my work and put across my opinions and messages about things personal to me that I feel strongly about. The School of Art & Design at Nottingham Trent University is one of only a small handful of UK institutions supported by the foundation. Dr Amanda Briggs-Goode, Head of Fashion, Knitwear and Textile Design at Nottingham Trent University, said: “It is fantastic that the Sarabande Foundation has chosen to support our students.